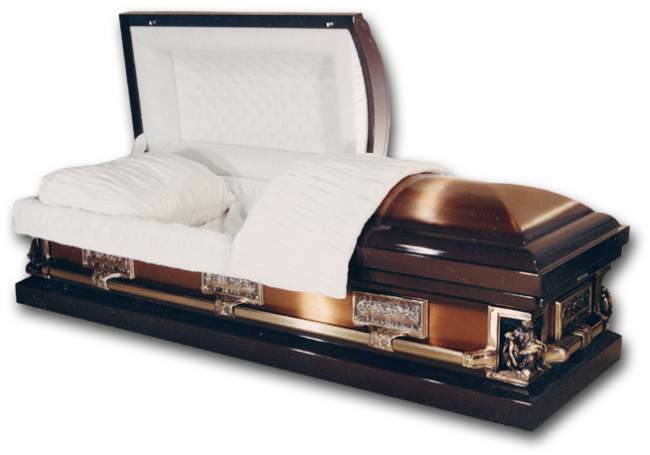 copper casket, but with the price of a 18ga carbon steel. adjustable inner bed. Fully gasketed and locking. Standard shipping(1-5 days depending on location)is $125-$300. an additional charge. Call us for quotes.